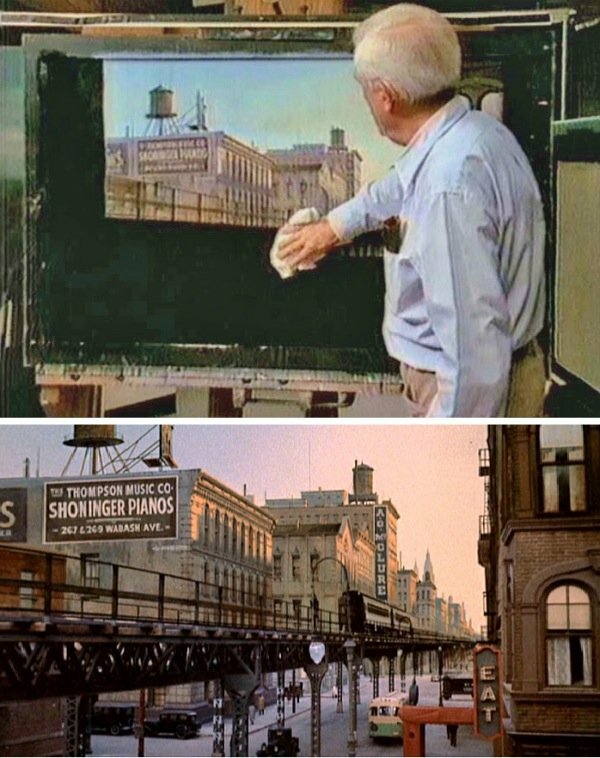 Long before filmmakers had access to the finest digital effects the industry has to offer, they had to get creative with matte paintings to blend like actors into locations and environments that couldn’t be achieved in real life. These are delicate works of art that date back to the early 20th century, when painters and artists helped directors achieve a nearly impossible vision. 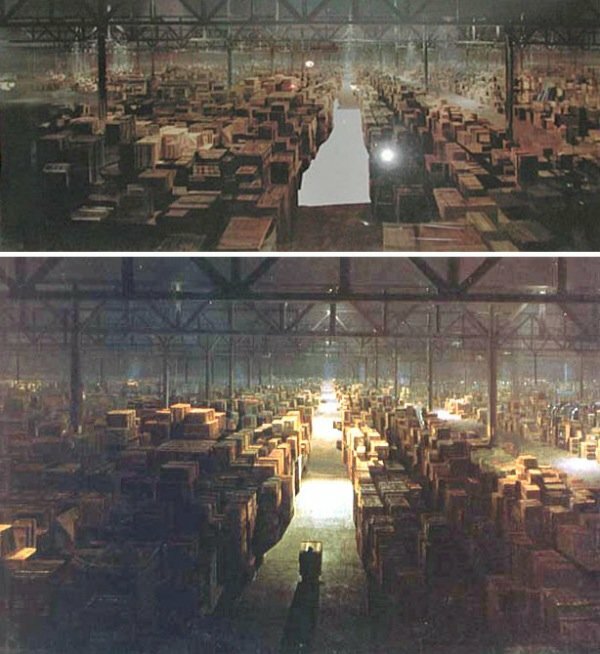 The website ShadowLocked.com writes a thorough history of the art of matte painting, singling out accomplished artists like Walter Percy Day, Peter Ellenshaw, Mark Sullivan and more. 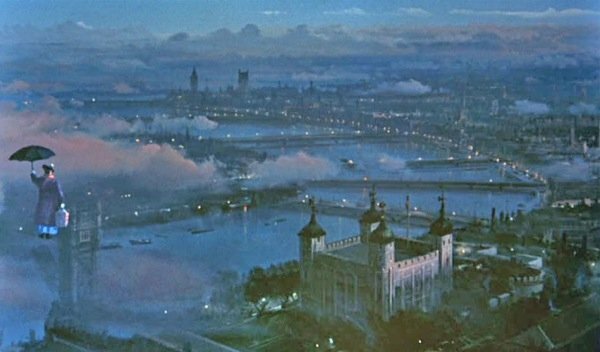 Beyond that, the site names what it believes to be the 50 greatest matte paintings, including imagery from such classics as Mary Poppins (above) to near-misses like Ghostbusters II, which often looked prettier than it deserved to look. 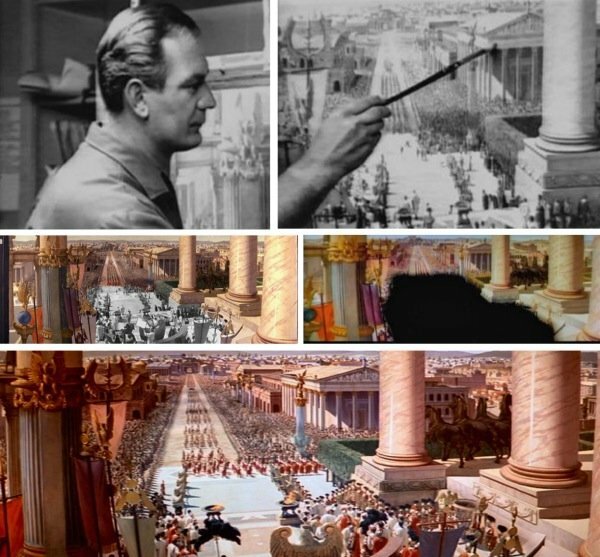 This montage shows matte painting artist Matt Yuricich working on Ben-Hur, to give you an idea how a painter would create on a pane of clear glass through which actors could later be photographed to create a still (or even moving) image. Which matte shot earned the coveted No. 1 slot? Read the entire piece, which captures some history for each image, and find out for yourself.